Fairport bed and breakfast travel guide for romantic, historic and adventure b&b's. Browse through the iLoveInns.com database of Fairport, New York bed and breakfasts and country inns to find detailed listings that include room rates, special deals and area activities. You can click on the 'check rates and availability' button to contact the innkeeper. Fairport is a suburb nine miles east of Rochester. In a funny story, Fairport got its name from a traveler in the nineteenth century in the Erie Canal who was overheard at Mallett's Tavern referring to the village as a fair port and the name stuck. Once, Fairport was ranked as number sixty two on the Best Places to Live by CNN and in 2008 Fairport was included in the Top 100 Places to Live list by Relocate America. 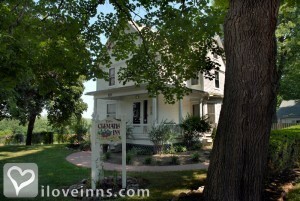 The whole family will enjoy a stay on one of the Fairport bed and breakfast facilities. Try the Colonial Belle which is a popular tour boat that provides canal cruises from Packett's Wharf which is located on the south bank of the Erie Canal. By The Clematis Inn.